Beretta Full Mesh Vest - Ambi. 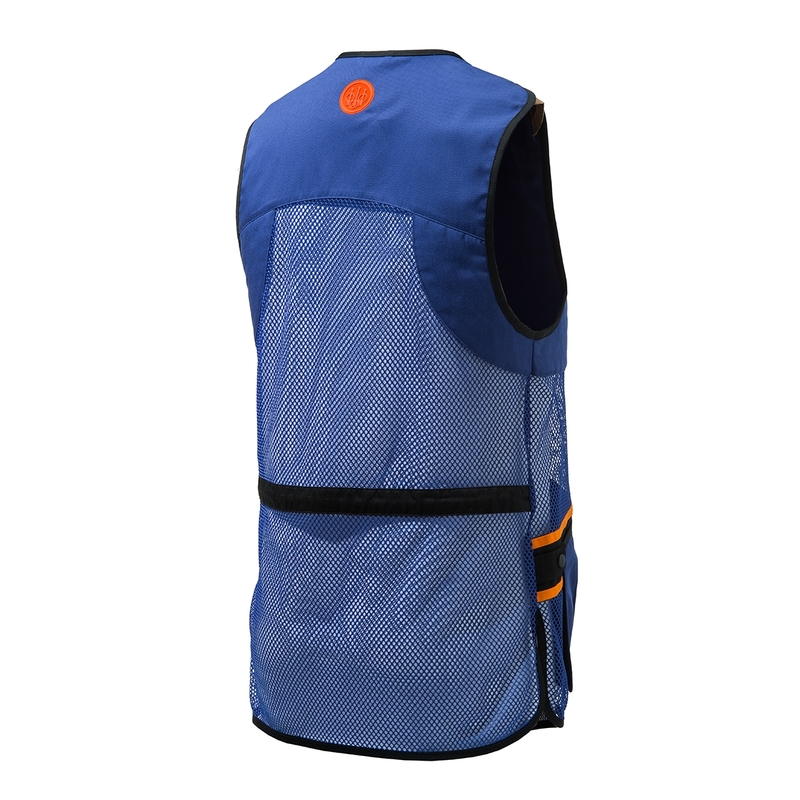 Unisex cotton and mesh vest with padded shooting patches designed with shooters' movements in mind. 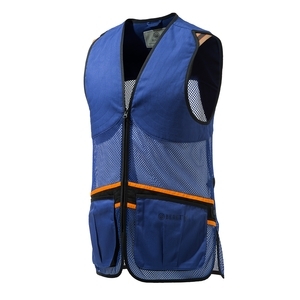 The mesh is strategically positioned in the key areas to help the moisture management on hot summer's days. Its wide size range makes it just as suitable for ladies and children. 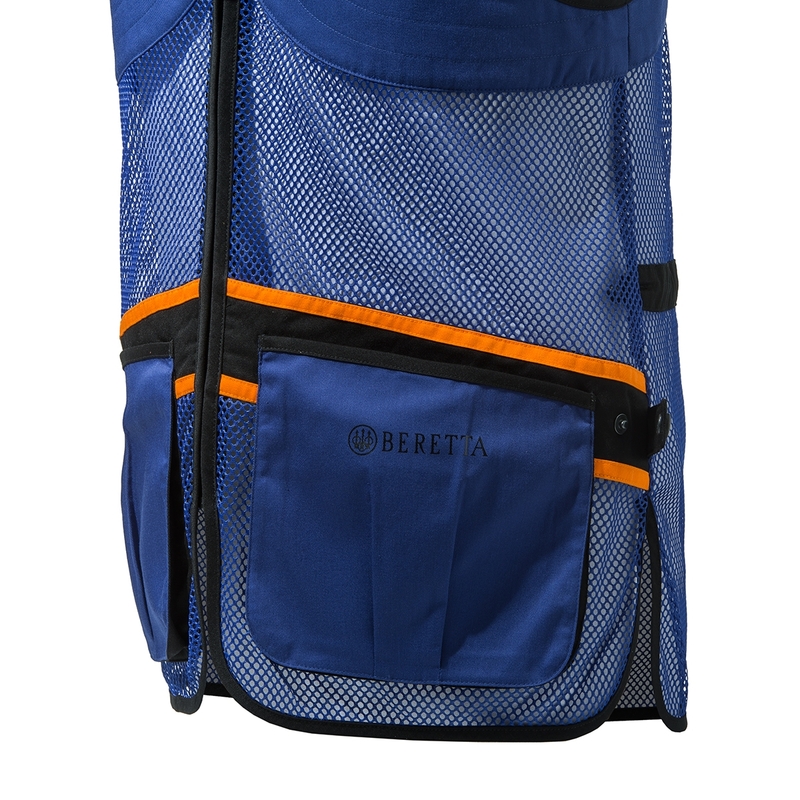 Elastic insert on the shoulder for comfort of movement in the iconic Beretta shoulder straps colors. Cotton padded shooting patches with Beretta quilting. 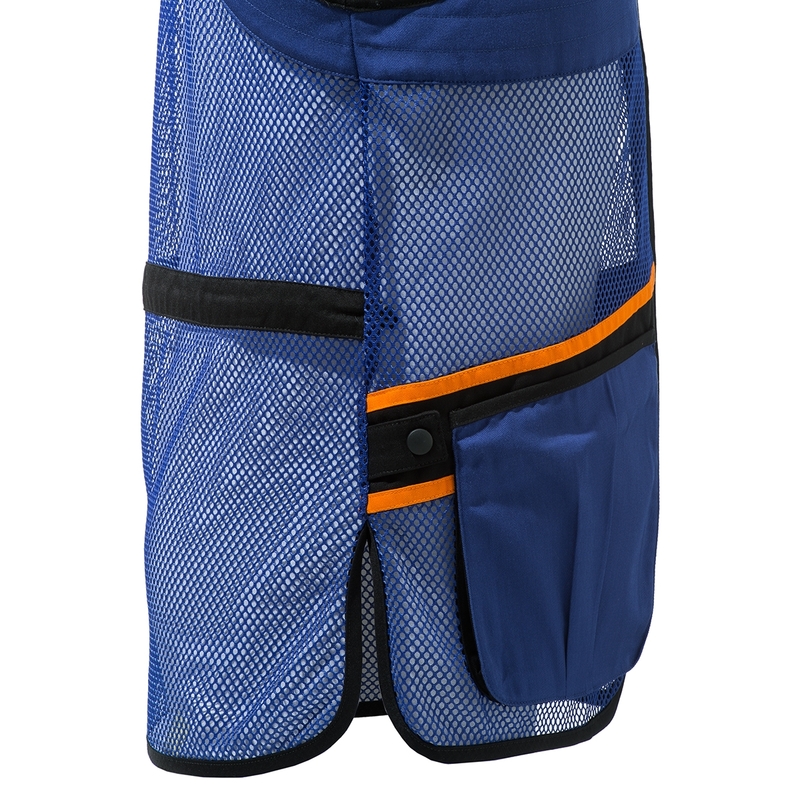 Breathable mesh on the front and on the back. Beretta logo in contrast color printed on the left pocket. 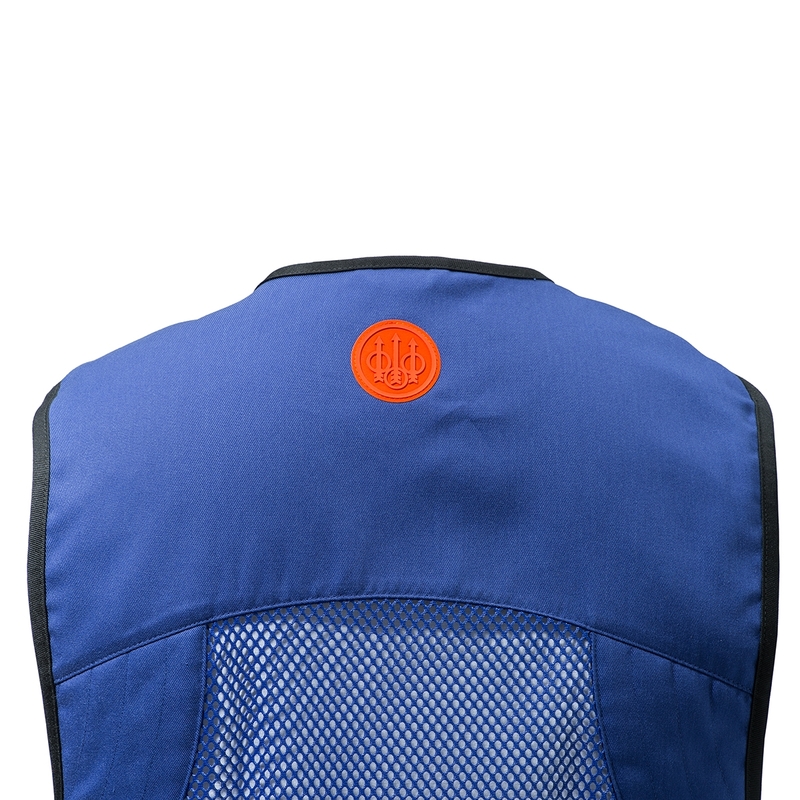 Beretta Active design language on the back that emphasizes the athletic gesture. Beretta logo rubber patch in contrast color on the back joke. Towel/earmuffs binding on the back with personalized rubber snap button.